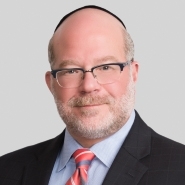 Jay Levine, a partner in Porter Wright's Litigation Department located in the firm's Washington, D.C. office, was quoted in Modern Healthcare's recent article, "Conditions on Prime deal signal growing state regulation of for-profit acquisitions," published at ModernHealthcare.com Jan. 4, 2014. "While state and federal regulators have been active in reviewing hospital mergers, state attorneys general are more likely to impose behavioral or conduct remedies on a deal, while the Federal Trade Commission prefers structural remedies, such as divesting overlapping assets, said Jay Levine, a Washington-based antitrust attorney at law firm Porter Wright. 'I suspect that this has been going on for a while, but I assume it will become ever more common.'"